If you are getting the error that your Mail/Outlook settings are out of date in the official Mail app in Windows 10, then this post is for you. There are a few solutions to this. The first one is to outright disable this notification from showing up on the screen. And, the second one is to reset and reinstall the mail app on your computer. Disabling the notification is quite simple. Go to the Settings app > System > Notifications & actions. Scroll down a bit, and turn off the notifications for the Mail app. Do the same for the Calendar app too if the error says that the Calendar settings are out of date on your computer. Of course, this will disable all the notifications from the Mail app and not only the one you are trying to get rid off. So, this is a temporary solution. The more effective way to fix this is to reset the app. To do that, you can simply delete all the data from the %LOCALAPPDATA%\Comms directory on your computer. This, however, is not possible until the Mail app is running in the background. To counteract this, you can first remove the Mail app then remove the data and finally reinstall it via the Windows Store. Search for powershell in the start menu and run it as an administrator. Type the following command in the powershell and press enter. This will uninstall the mail application from your computer. After restarting, search for Run in the start menu. Open it and type %LOCALAPPDATA%\Comms. Change this folder’s name to Comms2 or something else. Head over to the Mail and Calendar app page on Windows store and click on the big blue Get the app button to redownload it. Once the download is finished, search for mail in the start menu and open the Windows Mail app. 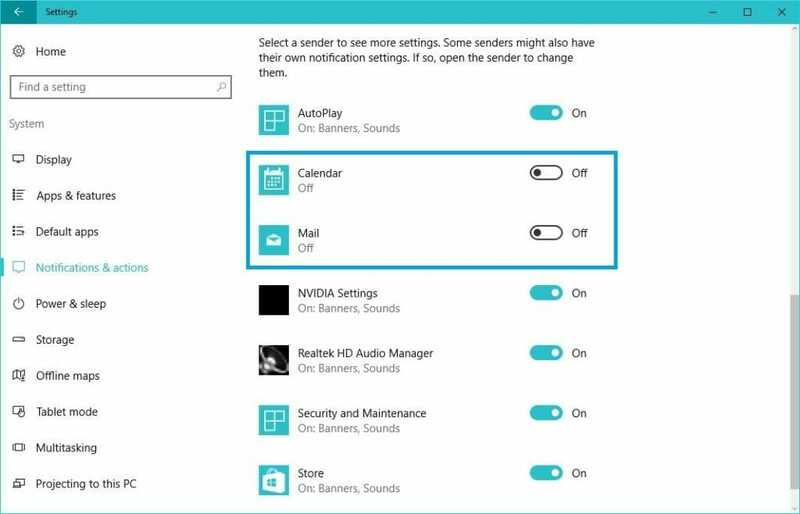 This time, you won’t get the “Your Outlook settings are out of date” error in the Mail app.